Prof. Fraser works with many organizations to find practical ways to improve the lives of animals. He is one of the original members of the Animal Welfare Working Group of the World Organisation for Animal Health (Paris) which develops global animal welfare standards on behalf of the 180 member nations. He chaired the expert consultation on animal welfare of the Food and Agriculture Organization of the United Nations (Rome). Within Canada he was elected one of the original members of the National Farm Animal Health and Welfare Council and led the development of the Council’s national strategy for farm animal welfare. He also serves on advisory committees for Institut National de la Recherche Agronomique (Paris), the Centre for Zoo Animal Welfare (Detroit), Verified Beef Production (Calgary), and as advisor on animal welfare to the Loblaw Companies. Prof. Fraser’s work has led to many innovations in animal housing and management, ranging from designing better pig pens to reducing highway accidents involving wildlife. His published papers include scientific studies on improved housing and handling of animals, theoretical contributions to animal welfare science, and papers on the practical and cultural dimensions of applying ethics to animal issues. In addition to his professional work, Prof. Fraser is an enthusiastic cyclist, a sometime contributor of light verse to Canadian radio, a bad pianist, a father of four, grandfather of three, and mentor to a wide range of valued students and colleagues. 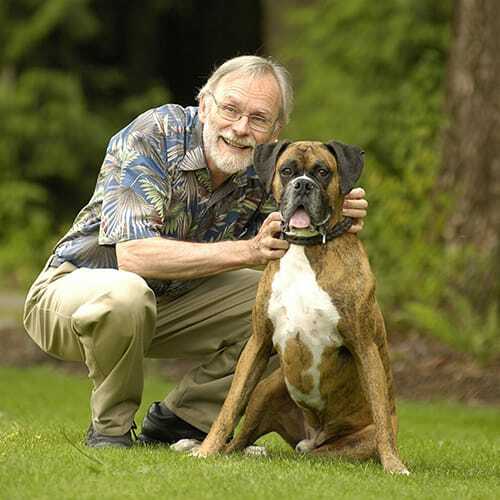 He was appointed Member of the Order of Canada in 2005 for his work as ‘a pioneer in the field of animal welfare science’. At UBC, Prof. Fraser works in the Animal Welfare Program and is Program Director of the Applied Biology Program. Animals and Society (APBI 314). An introduction to the place of animals in society and culture, and their use for agriculture, biomedical research, companionship and other areas. Co-taught with Marina von Keyserlingk. Click here and here to read student comments about this and related courses. Animal Welfare and the Ethics of Animal Use (APBI 315). An interdisciplinary course which introduces students to the scientific study of animal welfare and many of the ethical issues surrounding the use of animals in agriculture, science, and society. Co-taught with D.M. Weary. Click here to read student comments about this and related courses. Animals and Global Issues (APBI 414). A fourth-year seminar course that examines global issues such as the expansion of world animal production, the role of animals in new human infectious diseases, and the role of animal products in human nutrition. This course revolves around independent research, discussion and essay-writing. Graduate Courses in Animal Welfare (ANSC 515, 550, 551). For specific course information view the Animal Welfare Program website. Cole, J. and Fraser, D. 2018. Zoo animal welfare: the human dimension. Journal of Applied Animal Welfare Science, in press. Fraser, D. 2018. Why we need a new ethic for animals. Journal of Applied Animal Ethics Research, in press. Fraser, D., Koralesky, K.E. and Urton, G. 2018. Toward a harmonized approach to animal welfare law in Canada. Canadian Veterinary Journal, 59: 293-302. Koralesky, K.E. and Fraser, D. Use of on-farm emergency slaughter for dairy cows in British Columbia. Journal of Dairy Science, in press. Fraser, D., Spooner, J.M. and Schuppli, C.A. 2017. “Everyday” knowledge and a new paradigm of animal research: Commentary on Marino and Allen (2017) The psychology of cows. Animal Behavior and Cognition 4: 502-505. Clarke, N. and Fraser, D. 2016. Automated monitoring of resting in dogs. Applied Animal Behaviour Science 174: 99-102. Fraser, D. 2012. Compreendendo o Bem-Estar Animal: a Ciência no seu Contexto Cultural. (Portuguese translation of Understanding Animal Welfare: The Science in its Cultural Context, J. A. Fregonesi, translator). Editora da Universidade Estadual de Londrina, Londrina. Fraser, D. (editor). 2010. Conservation and animal welfare science. Special issue of Animal Welfare, 19: 121-192. Fraser, D., R.M. Kharb, C.M.E. McCrindle, J. Mench, M.J.R. Paranhos da Costa, K. Promchan, W. Song, A. Sundrum, P. Thornber and P. Whittington (2009). Capacity Building to Implement Good Animal Welfare Practices: Report of the FAO Expert Meeting. 52 pages. Food and Agriculture Organization of the United Nations (FAO), Rome. Fraser, D. 2008. Understanding Animal Welfare: The Science in its Cultural Context. 324 pages. Wiley-Blackwell, Oxford. Fraser, D., 2005. Animal welfare and the intensification of animal production: an alternative interpretation. FAO Readings in Ethics No. 2. 32 pages. Food and Agriculture Organization of the United Nations (FAO), Rome. Fraser, D. 2018. Animal welfare: translating science into practice. Pages 129-143 in J. Mench (editor), Advances in Agricultural Animal Welfare, Woodhead Publishing (Elsevier), Duxford, UK. Fraser, D. and K.E. Koralesky. 2017. Assuring and verifying dairy cattle welfare. Pages 993-1004 in Large Dairy Herd Management e-book, 3rd ed., D. Beede (editor), American Dairy Science Association, Chicago, USA. Weary, D.M. and Fraser, D. 2017. Social and reproductive behaviour. Pages 79-89 in P. Jensen (editor), The Ethology of Domestic Animals, 3rd Edition. CABI, Wallingford, UK. Fraser, D. and Nicol, C.J. 2017. Preference and motivation research. Pages 213-231 in M.C. Appleby, I.A.S. Olsson and F. Galindo (editors), Animal Welfare, Third Edition. CABI, Wallingford UK. Fraser, D. 2017. Animal welfare. In M. C. Rowlinson and C. Ward (editors), Routledge Handbook of Food Ethics, 264-273. Fraser, D. and Weary, D.M. 2016. Applied animal behavior and animal welfare. In J.J. Bolhuis and L.-A. Giraldeau (editors), The Behavior of Animals: Mechanisms, Function and Evolution, 2nd Edition. Wiley, Oxford, in press. National Animal Welfare Conference, Canadian Federation of Humane Societies, Calgary, April 21-23, 2018. Animal Welfare Forum, World Organisation for Animal Health, Paris, March 28-29, 2018. Campbell Centre for the Study of Animal Welfare, Guelph, Feb 21, 2018. “Frontiers in Veterinary Medicine” Lecture, Calgary, Feb 16, 2018. Colloque “Bien-être animal: de la théorie à la pratique”, Rennes, Dec 12-14, 2017. 10th Expert Forum on Farm Animal Well-being, Boehringer-Ingelheim, Rome, June 8-9, 2017. 2nd Annual Dairy Cattle Welfare Symposium, Dairy Cattle Welfare Council, Milwaukee, June 1-3, 2017. 4th International Animal Welfare Symposium, Detroit Zoo, Detroit, May 4-6, 2017. British Columbia Farm Industry Review Board, Delta, BC, April 13, 2017.